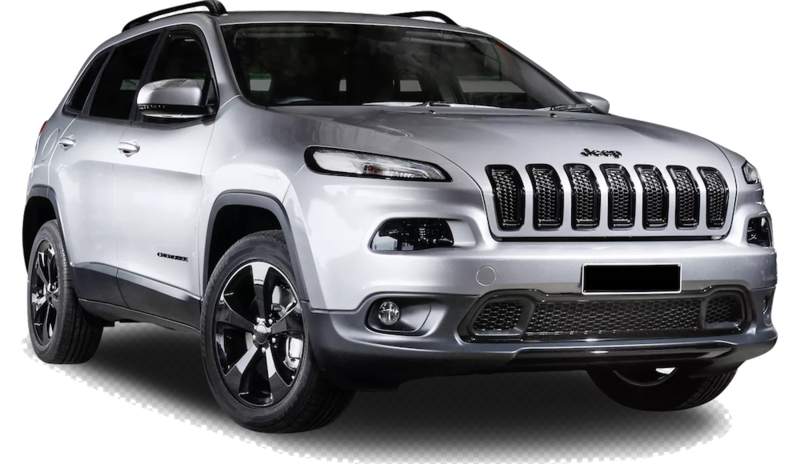 Since Jeep Cherokee hit the market in 1974 it has continually set industry standards in its SUV class for both it’s on and off-road impressive capabilities. The Honda CR-V is a compact crossover available on the market since 1995. The CR-V uses Honda’s Civic platform in an SUV body design. 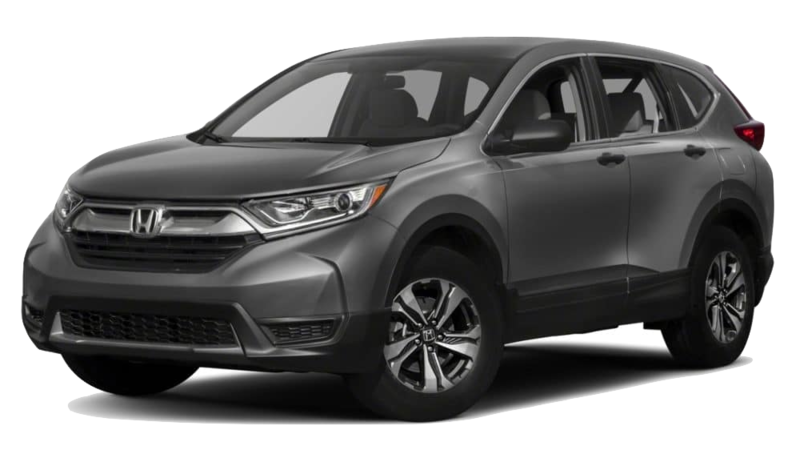 The Honda CR-V is currently in its fifth generation of production, not much is new for the CR-V for 2018, it appears a little larger and more significant than earlier models, but retains its good handling, decent cargo space, and strong safety scores. For 2018, the Jeep Cherokee has been improved by making many previously upgrade option features standard. The 2018 Trailhawk version of the Cherokee is top of its class in off-road capabilities and driving power and control. Here’s a look at the 2018 Jeep Cherokee vs The 2018 Honda CR-V in a few major areas of interest to buyers. The Honda CR-V offers an interior sound-level that both passengers and drivers will find suitable. The Jeep Cherokee also has an impressive cabin experience with low-exterior noise interference. While the Honda CR-V and the Jeep Cherokee are similar in safety features and technology, buyers looking in the midsize to small crossover SUV market will notice that the 2018 Jeep Cherokee brings more upgraded features to their standard models. While some nice trim level upgrades are available for the 2018 Honda CR-V, buyers may have to spend more in order to get the custom and upgraded experience that comes standard in many cases on the 2018 Cherokee. The 2018 Honda CR-V has a five-star safety rating. CR-V’s Honda Sensing Package is standard on the EX trim and above. The Sensing package includes Collision Mitigation Braking System, Forward Collision Warning, Road Departure Mitigation Warning System, Lane Keeping Assist System, and Adaptive Cruise Control with Low-Speed Follow. Additional safety features include standard multi-angle rearview camera system, automatic high beams, rain-sensing windshield wipers, rear parking sensors, and blind-spot monitoring with cross traffic monitor. The 2018 Jeep Cherokee offers the utmost in safety and security. Front and rear crumple zones help absorb energy and redirect it away from passengers. Seven airbags including multistage driver and front passenger airbags, side-curtain airbags, front seat-mounted side airbags, and driver-side inflatable knee bolster airbags add premium crash protection. Driver assist systems alert and aid drivers in challenging driving situations. Forward collision warning with active braking and adaptive cruise control with stop are only two of the safety systems available in Cherokee’s impressive line-up of safety options. The 2018 Jeep Cherokee comes equipped with the impressive UConnect System that brings drivers entertainment, communication, navigation, and convenience in the comfort of your Jeep. Featured is Bluetooth streaming audio, UConnect Voice command and an easy to use the 8.4-inch touchscreen, full-feature navigation, and SIRI so you can stay connected and hands-free while driving. Cherokee features Apple CarPlay integration so you can connect to your phone. Another great technology feature of the 2108 Jeep Cherokee is SiriusXM Guardian. This technology connects you to your SUV in completely new and advanced ways. Guardian gives you greater remote access and control, and great driver’s assistance thanks to Roadside assistance, navigation features, and security alerts. All of Honda CR-V’s trim levels offer a nice variety of technology options. The LX trim level comes with a 5-inch LCD color screen, a USB audio interface, Bluetooth hands-free link and streaming audio, and 12-volt power outlets. Upon upgrading to the Honda CR-V EX trim, your SUV’s standard features will also include a 7-inch display audio touchscreen, HondaLink smartphone integration, SMS text messaging function, AppleCarPlay, Android Audio, and SiriusXM Radio. While both the Honda CR-V and the Jeep Cherokee have comparable technology options available, drivers will find that Cherokee offers more features standard than CR-V. The Jeep Cherokee is styled with a variety of lifestyles in mind. Superior details are evident in every part of the Cherokee’s design. No details were spared to make riding in the Cherokee a luxury experience – whether you are looking for rugged off-road styling or high-end luxury, Cherokee’s extensive trim packages and options make customizing a Jeep Cherokee a breeze. On the exterior, each available trim has its own stylish and head-turning details. The interior of Honda’s CR-V for 2018 is an exact copy of last year’s cabin space – no changes were made to this year’s model. It’s spacious and modern and provides drivers with a familiar layout. It’s interior is attractive and functional and provides a soft-touch material on the dashboard and a versatile center console. A nice balance of faux-wood accents, chromed, plastic, and brushed satin finishes give the CR-V and upscale appearance. Cherokee’s interior design and materials are unchanged for the most part for 2018, but the amount of features that comes standard has been improved. The 2018 Jeep Cherokee Trackhawk goes from 0-60 in an astoundingly fast 3.5 seconds. 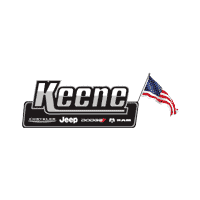 Braking, handling, torque, and horsepower have all been tuned on this model to make this Jeep an amazing driving experience. The Cherokee is equipped with a supercharged 6.2L HEMI V8 Engine to make the Trackhawk the fastest accelerating SUV and the SUV with the highest torque rating in its class. Also available for the 2018 Cherokee is Jeep Active Drive, a 4X4 system that features a rear axle disconnect feature that only engages when necessary to improve efficiency. A Selec-Terrain Traction Management System gives all weather-capability in four modes: Auto, Snow, Sport, and Sand/Mud. Standard Brake Lock Differential works with the advanced 4X4 system to give drivers amazing capabilities in any driving conditions. The 2018 Honda CR-V has a sufficient baseline engine and does offer a stronger optional turbocharged engine, and fuel economy is high for each version amongst other similarly sized SUVs in its class. However, the CR-V’s comfortable ride quality doesn’t completely make-up for its less than impressive handling. The CR-V comes standard with a 2.4-liter four-cylinder engine that produces 184 horsepower and 180 LB per ft of torque. The base engine is adequate, but if you crave some real power you will have to upgrade to the turbocharged engine. The CR-V comes standard with front-wheel drive, but an all-wheel drive is an option if you choose. Handling is good but does not particularly stand out as engaging, zippy, or athletic. Both SUV’s bring a nice amount of performance to the table, but again, Cherokee loads more into its standard packaging.